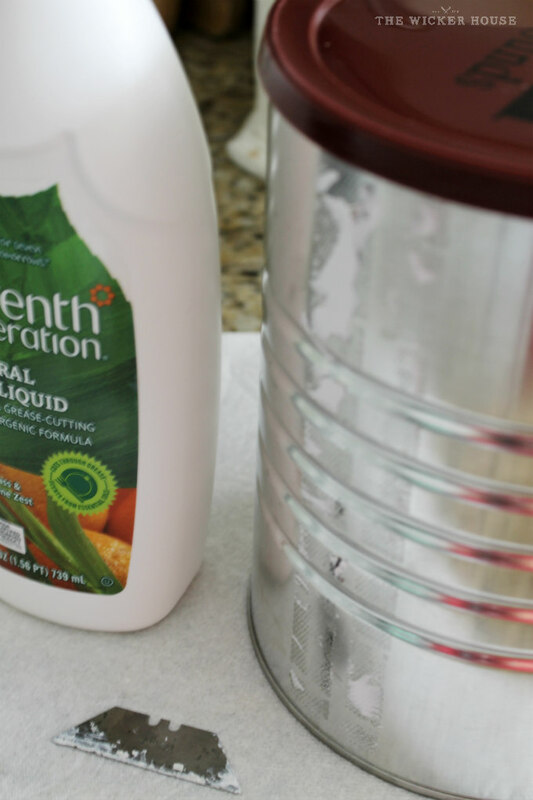 I have a great recycling project to share with you today. It is something that is not only simple to make, but it is also a good way to show the planet you care. 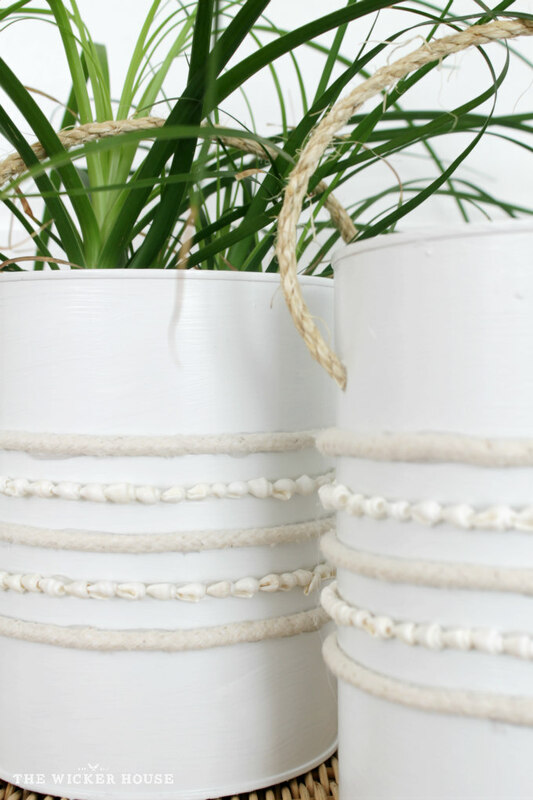 By reusing a couple of old coffee cans, I have made these beautiful buckets that are perfect for holding potted plants. 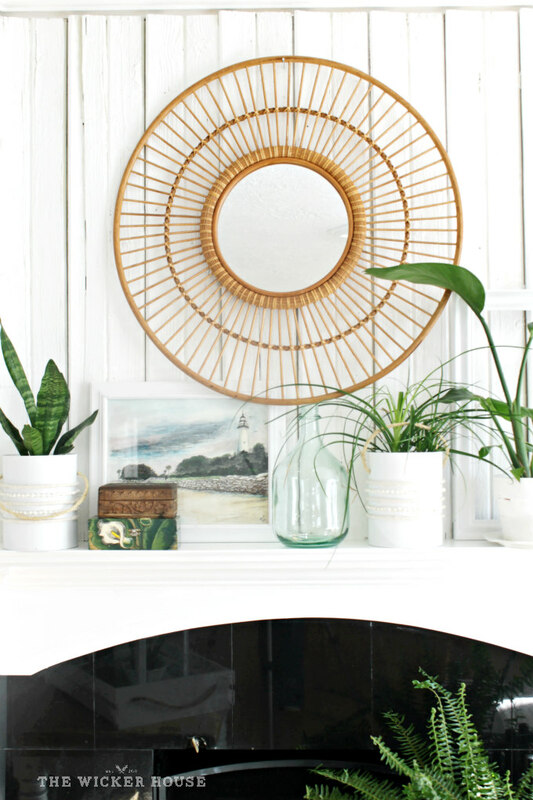 I originally shared this project at City Farmhouse, so you may have seen it already, but because this is one of my favorite projects of the year so far, I wanted to re-share it here at The Wicker House. So I'm a big coffee drinker. I gotta have my coffee every morning before I can start the day. 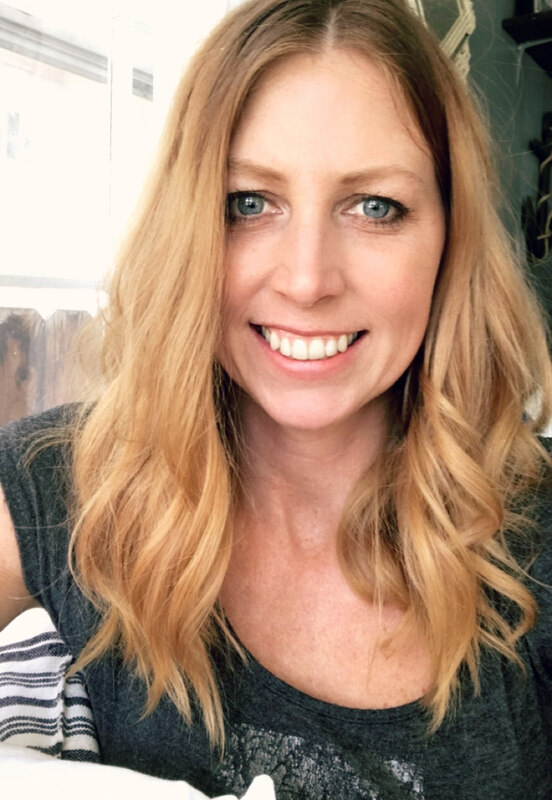 Are you a coffee drinker too? If not, find a friend who is and have them save their coffee cans for you so that you can make this project too. 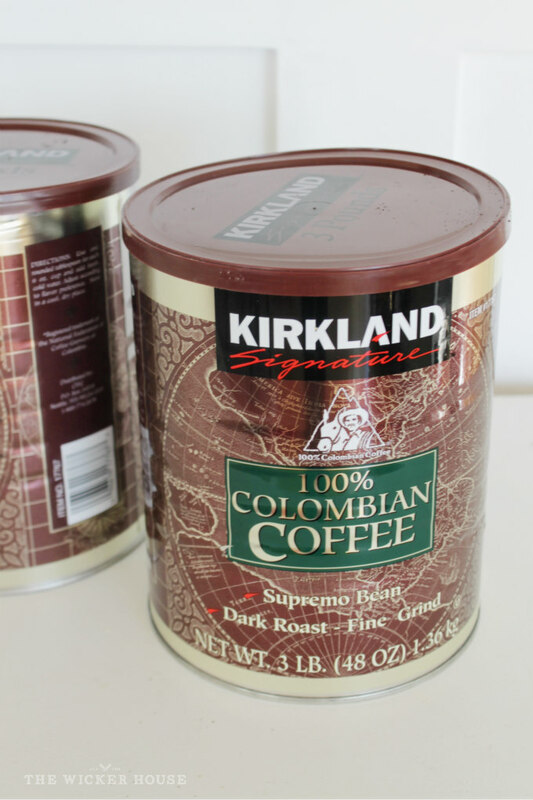 I buy my coffee from Costco and lately I have really been enjoying this Kirkland brand one. However, when my coffee is all gone, I have had a hard time throwing away the cans. I just felt like there was something cool I could create with them. So after much thought, I came up with the idea of turning them into decorative buckets. And to be honest, I did not think they would turn out as cute as they did. That's why I wanted to share the instructions with you so that you can make some too. The first step is to remove the label which peels off easily but it leaves a sticky residue behind. Using some dish soap, a razor blade, and some hard scrubbing I was able to remove it. Once the cans were clean and dried and free from residue, I spray painted them with a white gloss spray paint. Next, using a 3/8 inch drill bit, I drilled a hole 1 1/2 inches from the top on each side of the can. These holes are for the rope handle to go through. Now it's time to decorate the cans. At first I tried to paint on blue stripes, but they ended up looking sloppy, so I just painted over them with white paint. When I re-painted the cans I went with a semi-gloss white latex paint, so that is the reason why the sheen looks duller now compared to the picture above. Go with whatever sheen you prefer, but just note, the can does need to be painted in spray paint first for the paint to adhere to the metal. I painted my cans white, but these could obviously be painted in any color you want. 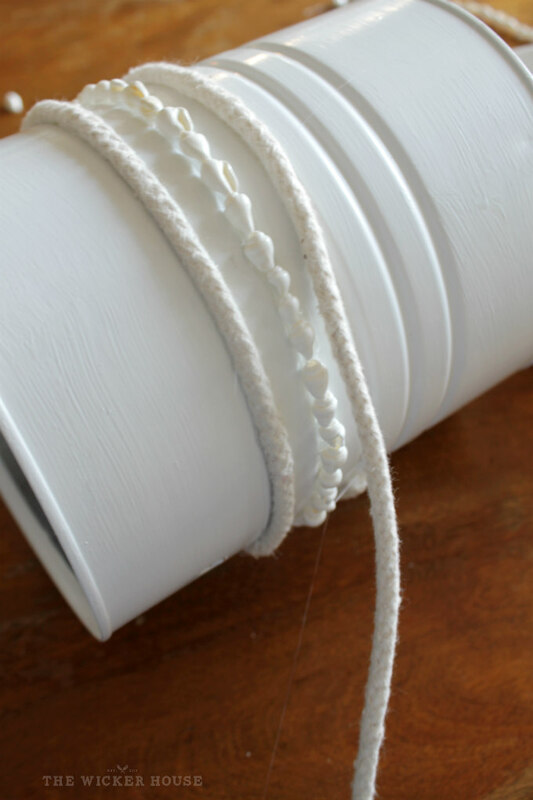 To decorate my cans, I went to my craft drawer and pulled out some clothesline rope and a couple strands of seashell necklaces. 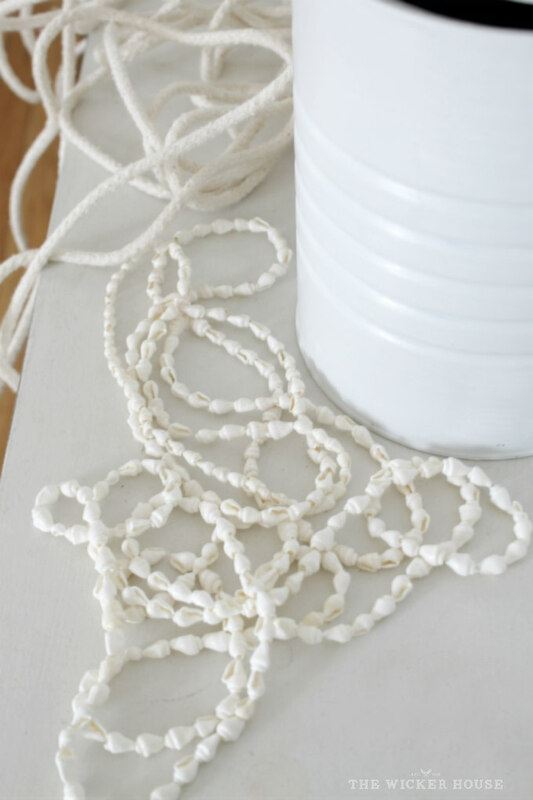 Running my hot glue gun down into the creases of the can, I glued the rope and shells into place. I began each row on the side of the can so that the seems would not be as noticeable. I sealed the ends of the rope with a dab of hot glue, and I tied a knot on the ends of the shell necklaces to help secure them. I then created a handle for my bucket by using 2 feet of rope. I fed the rope through the holes that I drilled and then tied a knot to the ends of the rope on the inside of the can. 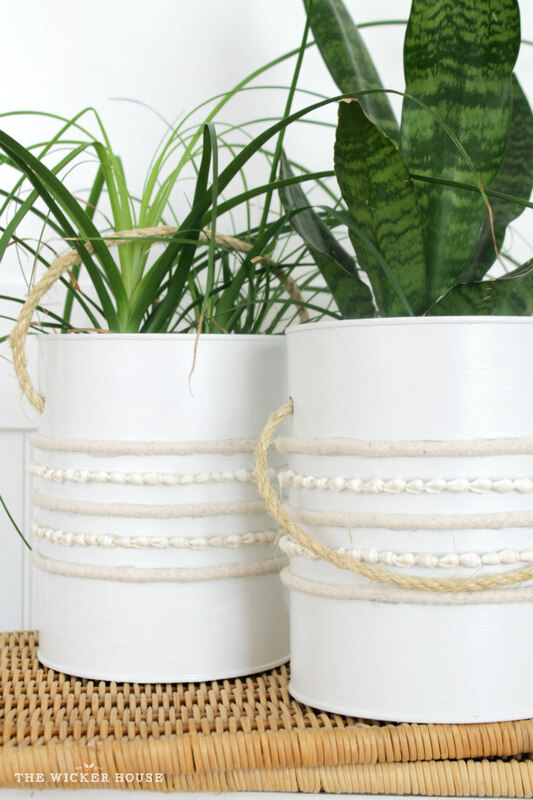 These buckets could be used for holding lots of different things, but I like the idea of using them for my potted plants. I have placed these buckets on the mantel in our living room. and think they turned out great! 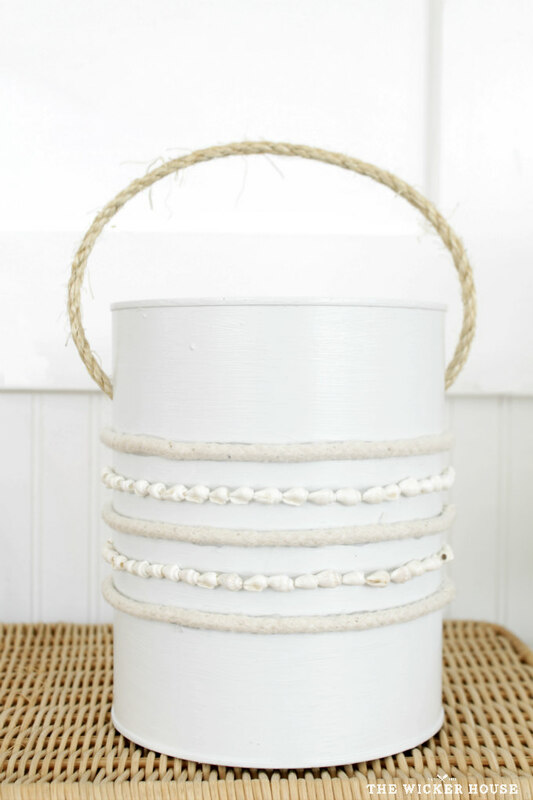 Will you be making some Coffee can buckets too? I've been receiving quite a few comments asking if I drilled holes into the bottom of the cans for drainage. I did not. Obviously you could, but then you would need some type of tray under it to collect the water. Instead I set an already potted plant with drainage holes into the bucket. LOVE how these turned out and how they look all together styled beautifully! Oh my! Now that my friend is an amazing looking coffee can! I love that you used the tiny shells. I have been obsessed with them but I never know how to use them, now I have some inspiration. Thanks. Looks like an excellent idea, I will give it a try with some of my spare coffee containers. Great idea and re-use of the cans and use of the shells! Did you put mud in them direct ? The cans rust when I tried to put mud in the cans without painting them. Did yours rust ? This is so awesome. 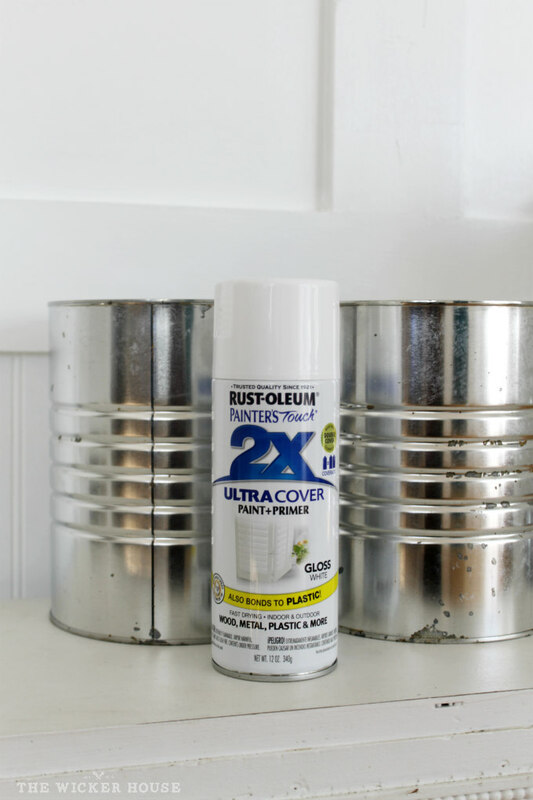 Great upycling DIY project. I’m new to potting plants. 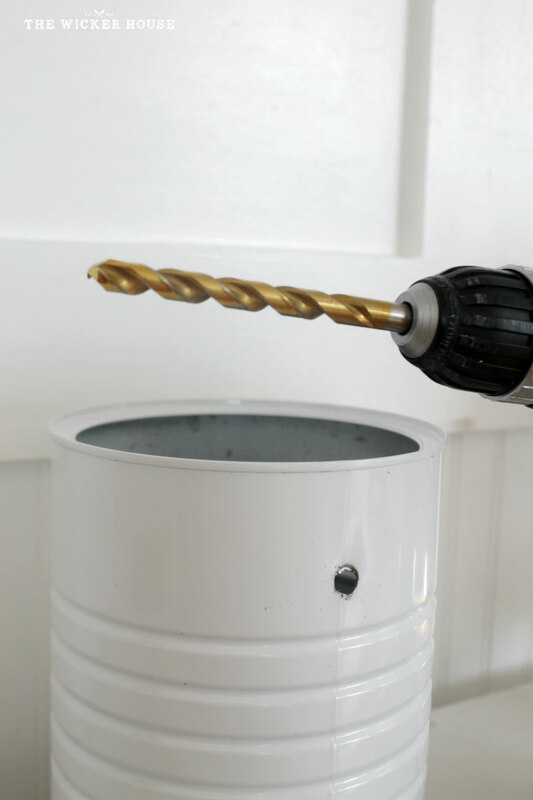 Love this idea, but would you need drill holes in the bottom of the pot for water to drain?